I started reading on Saturday night, snuck in chapters throughout Sunday (when we had company) and then stayed up until midnight in order to finish. Because I burned through this bananapants mystery within 24-hours, it should come as no surprise that THE WEIGHT OF LIES gets my must-read recommendation, and I'm super psyched to use the rest of this post to convince you of its awesomeness. Oh em gee, folks, there are so many things I loved about THE WEIGHT OF LIES that it's a challenge to figure out where to start. The dysfunctional mother-daughter relationship? Bonny Island's creeptastic vibes? Meg's ability to be a sad-sack and also fearless? The murder that may or may not have happened? How do I choose?! Cover design by Rex Bonomelli. Okay. Let's start with Meg, because she's the protagonist and first-person narrator. I didn't instantly like her, mostly because in the first chapter, Meg's sitting by the side of a swanky hotel pool in Las Vegas, feeling sorry for herself. She lives off a trust fund, has friends named Aurora and "the Glitter Girls," and receives a hand-delivered birthday party invitation from her mother. Like, come on. Hand delivered?! *eye roll* But Meg's reaction to that invitation is what changed my initial opinion. Her outer layer shed, revealing her vulnerable core. Just like that, she let me in. 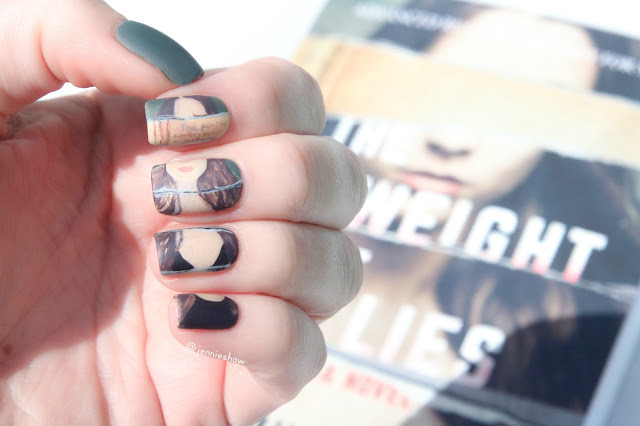 She put up walls to protect herself from others, but not from me, the reader. So from the third chapter forward, I was Meg's fiercest cheerleader. The setting was probably my second favourite element of THE WEIGHT OF LIES. Carpenter s-l-a-y-e-d the unsettling and mysterious Bonny Island, and like in BURYING THE HONEYSUCKLE GIRLS, the atmosphere was crucial to the plot. When an author can create a threatening environment--a force that demands respect--it automatically adds tension. Running in fear is one thing, but running in fear through hostile and unstable terrain, where danger lurks in every tree and meadow, it's down-right terrifying. And holy hotcakes, is Bonny Island a nightmare. Then there's the dysfunctional relationship. THE DYSFUNCTION I CANNOT. Meg and Frances were like opposing magnets. Any attempts to bring them together were strained and explosive. And it only got worse as the novel progressed. The plot itself had a killer pace (haha, had to do it) and doesn't unfold in a linear fashion, which made it extra awesome. Also awesome? There were excerpts of Frances' horror novel at the beginning of each chapter, syncing the fictional novel with the real one. So it's firing on all levels, folks. ALL. LEVELS. Oh, and have I mentioned there's some super cute male eye candy? Because there is. And he was delicious. 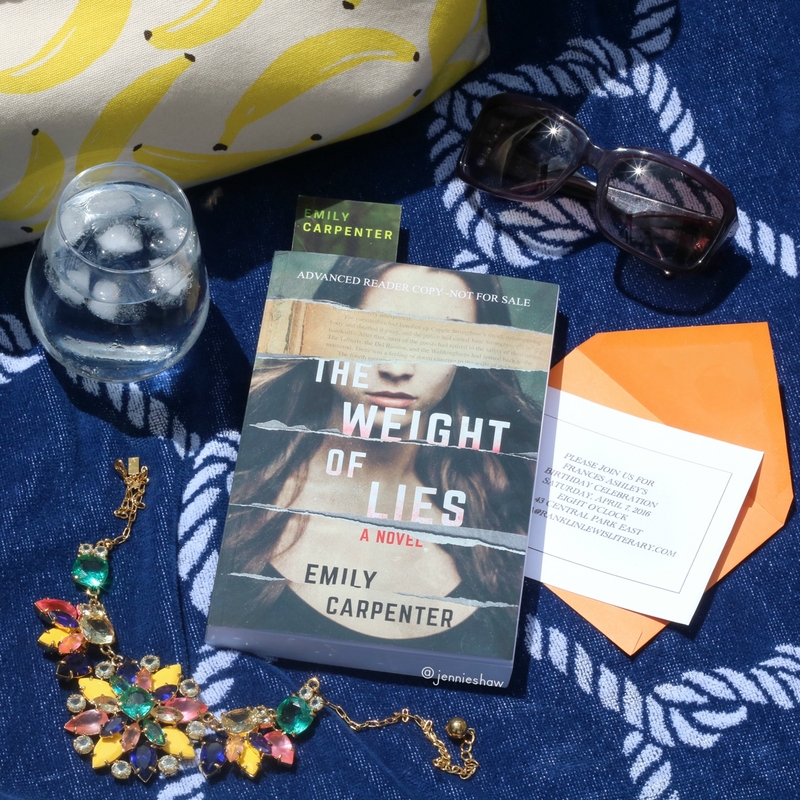 If you love mysteries that feature volatile characters, cold cases, and gripping plots, you need to read THE WEIGHT OF LIES. And then BURYING THE HONEYSUCKLE GIRLS. 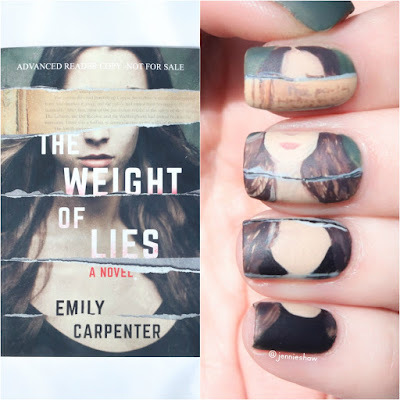 Because there's a new heavyweight in atmospheric mysteries, and her name is Emily Carpenter. THE WEIGHT OF LIES comes out next Tuesday, June 6th. Mark your calendars, people!! Aaaand adding this one to the list. I love good atmosphere, and when a place is a character in its own right. Did you figure out the mystery before the end?